8am--let's go judge some beer! 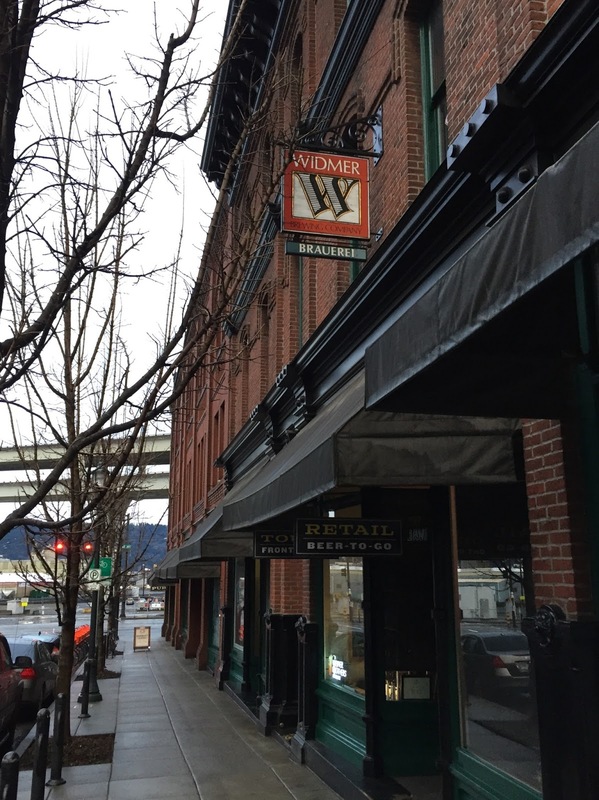 Judging for the Oregon Beer Awards unfolded over two long days this past weekend in an event space above the Widmer Brothers' pub. It is quickly becoming one of the more serious judging events I'm aware of: over 900 beers entered from 114 Oregon breweries, with organizers pushing and cajoling to make sure big and prestigious players contributed. It's sponsored by Willamette Week, one of our alt-weeklies, but headed by Breakside brewer Ben Edmunds. What I particularly like about the event is the way the organizers have reconsidered beer categories. Beers were judged in just 22 categories--radically condensed when compared with the 96 the GABF use--159 (!) if you include sub-categories. The other impressive aspect is the judges, the substantial majority of whom are brewers. Although Willamette Week wants to make this a revenue-generating awards event each year, the design of the competition is aimed squarely at brewers. Each beer receives notes from the judges for each flight it appears in (preliminaries, second, and medal rounds). The judging sessions are audio-recorded, and the recordings are made available to participating breweries. Feedback is not an afterthought--it's the central objective. During judging, four people were grouped together for three flights in the am and pm on both Saturday and Sunday. This streamlined the process but also allowed the judges to develop a bit of rapport. I skipped the Sunday afternoon session so I could see that debacle of a Packer game, so I judged with three teams. Of the eight other members across all three groups (we had one no-show), seven were brewers. This may have been slightly skewed toward brewers, but indicates how heavily represented they were in the judging. As an object of study, beer is large and contains multitudes. Homebrewers, writers, historians, beer geeks, chefs, regular drinkers--we all view it through a particular lens or filter. When you judge beer, that filter is laid bare--the things we notice reveal the way we experience beer. I love judging with brewers because they spend time with beer in a different way than the rest of us. They make it week after week, year after year, becoming incredibly sensitized to the specific chemical compounds present in their beer. Make a beer a hundred times and you really get to know it. Because one of my own filters is to notice what other people are doing, I couldn't help but pay attention to the particular way they talked and thought about beer. Collectively, there were three habits of mind that were broadly shared and which seemed revealing. I'm going to pass them along because it's worth remembering that the people who make the beer may not think about it the way you do. Does that matter? Does it change anything? Perhaps, perhaps not, but knowing it may very slightly tint that lens you use to experience beer. The flavor compounds present in beer come from a blend of ingredient and process. Beer drinkers tend to focus mostly on the ingredients: which malts, hops, yeast were used. Brewers, on the other hand, are incredibly sensitive to chemical compounds--acetaldehyde, diacetyl, DMS, isovaleric acid, autolysis, oxidation--that are clues to poor process or quality control. The example that jumped out at me was oxidation. This is the constant, unconquerable foe of the brewer, one that will eventually destroy everything they do. From a sensory perspective, "oxidized" describes an objectionable quality of staleness that may either just dull the beer or taste like paper or wet cardboard. But to a brewer, it's a continuum; a beer at one month--well within the "fresh" zone of a beer's life--is more stale than a week-old beer. It's not stale, but it's observably less fresh. Because brewers are always in a battle to put their beer in front of consumers before that objectionable threshold arrives, they are highly attuned to this evolution. I judged nine flights and probably close to a hundred beers. In that time there were two beers I would have flagged as dull and stale--not even papery yet, just a bit past their prime. But brewers flagged probably 25 beers for having some quality of oxidation. It happened so often that I started to ask them to describe it so I could locate what they were identifying. Eventually I started to. (It's worth noting that in most cases this was a diagnostic comment, not a critical one--see my second point below). Brewer-judges plucked these chemical notes out forensically, looking for the fingerprints of brewers who'd made the beer. This of course makes perfect sense; it's what they themselves do in their own breweries. Most of those compounds occur naturally in the brewing process and can be eliminated through certain processes. If you make a beer with acetaldehyde or diacetyl, there's a remedy. Brewers are hawks for these flavors because it's their job to make sure they do or don't appear in the beers they make. Regular drinkers are aware of them at a gross level, but only as they impact the flavor composition of the beer. Brewers perceive them at far lower thresholds. One of my favorite moments was when a brewer was describing a beer and said (paraphrasing), "The hops taste like dirt. I don't mean that as a criticism." We all laughed, but knew what he meant. 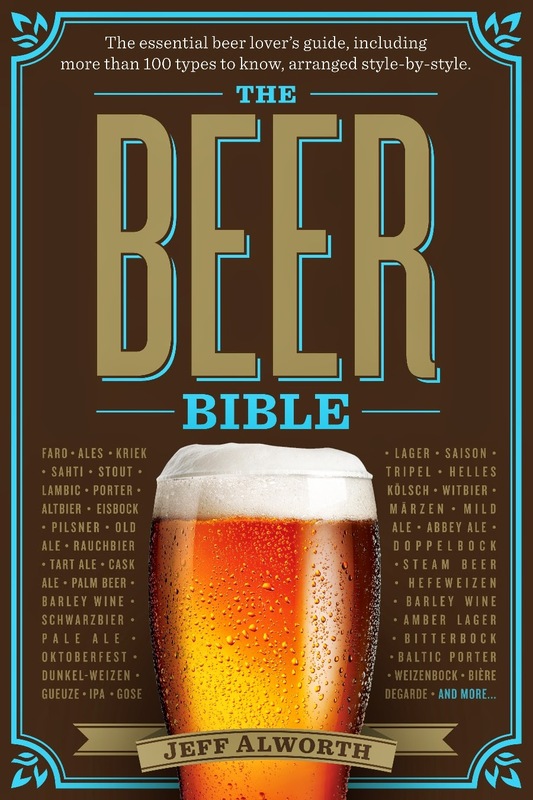 There's an unvarnished way brewers use to discuss beer. If they can identify a chemical compound precisely, they use that over a general description. They would use isoamyl acetate rather than banana if that's the compound they tasted, DMS over corn. The reason is because "corn" is more general and may arise from some other source than DMS. (Corn, for example.) "Banana" probably refers to isoamyl acetate, but not always. But they're also far less likely to use flowery language or language that carries the valence of judgment. A writer trying to communicate that "dirt" note to his reader my render it as "forest floor," which has a far more positive cast. It's also less precise. When you start breaking flavor down into its smallest parts, you encounter things that, were they the dominant note, would be objectionable. No one wants dirt beer. But when it comprises just 1% of the flavor, something like dirt can be a valuable, positive addition. And in this case, it was dirt--a flat, inorganic note that didn't have the complexity of "forest floor" or even "soil." In the judging process, people--even brewers--will notice only some of all the available flavors, but collectively begin to construct a fairly complete description of the beer. If they were worried about censoring flavors that might be interpreted negatively or gussying them up so they seemed more palatable, that picture would be incomplete or inaccurate. This, again, is a big part of a brewer's life: they get to know their beers incredibly well, and understanding that there's a dirt note in them is far more valuable than pretending it doesn't exist.They know that it may improve a beer, too. This last one is not so much a discovery as a confirmation. Brewers tend to gravitate toward subtle, well-composed beers and away from booming, shouty beers. I will not speculate too much about why this is--and nothing in the judging gave me an obvious answer. Perhaps brewers themselves will offer a reason (or a rejection of the thesis). Nevertheless it was true that in category after category, this slight preference revealed itself. I would guess that it's actually harder for the very aggressive beers in a category, no matter how well made, to win the top award than one that's more subdued and balanced. This results in an interesting paradox: beer geeks often revere favorite brewers, but those brewers' preferences would likely not be the kinds of beers the geeks love. That paradox is one of the reasons I love this competition. Beer geeks may be surprised and even disappointed by some of the results--they were last year--but the fact that such an impressive group of judges participated should at least make them reconsider these beers. It was a real pleasure to join these fine brewers in judging, and I look forward to seeing the results. If you're interested in attending the awards ceremony on February 28th, you can buy tickets here. I have found just drinking with professional brewers has helped inform and tune my own palette. I have also seen the same preference for a well constructed 'simple' beer other something more in your face. I remember John Keeling saying in an interview with him on Fuggled that his favourite Fullers beer was Chiswick Bitter. Do judges at these events spit? I would imagine even a 3oz pour X 100 = blotto, or at the very least an impairment of critical judgement? While some do spit, most do not, as the finish of a beer and how it lingers in the mouth and sinuses is important in judging. That being said, most judges do not finish their sample, and if a beer is obviously not going to advance the judge will utilize a small amount of the sample for the judging notes then dump the rest. What would you consider to be a good example(s) of a subtle, well-composed beer? Michael, I've never seen a judge spit in a beer competition. 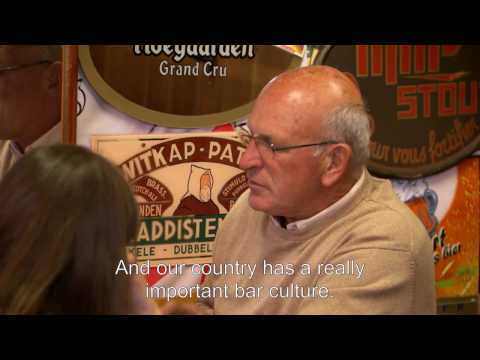 The reason has to do with the experience of the beer. Aftertaste is such a critical piece of things, and a beer can change radically during and after the swallow. What shocks me is that wine-drinkers spit. If you judged a whole day, you probably drank around 60-65 beers and had maybe 100 ounces in total. That's about six pints. It's a lot, but we started at 8:30 and went to five. Palate fatigue was a bigger challenge than drunkeness. Anon, classic styles that run below 6% and are not overbalanced by any particular ingredient or additive. I judged porters/stouts, and we had stuff ranging from 5% to probably 10% (we didn't know the ABV), and the imperial stouts and Baltic porters were not getting the same kind of disproportionate love they do by geeks.